ECSS-E-ST-32-08 specifies the mechanical engineering requirements for materials. This Standard also encompasses the mechanical effects of the natural and induced environments to which materials used for space applications can be subjected. 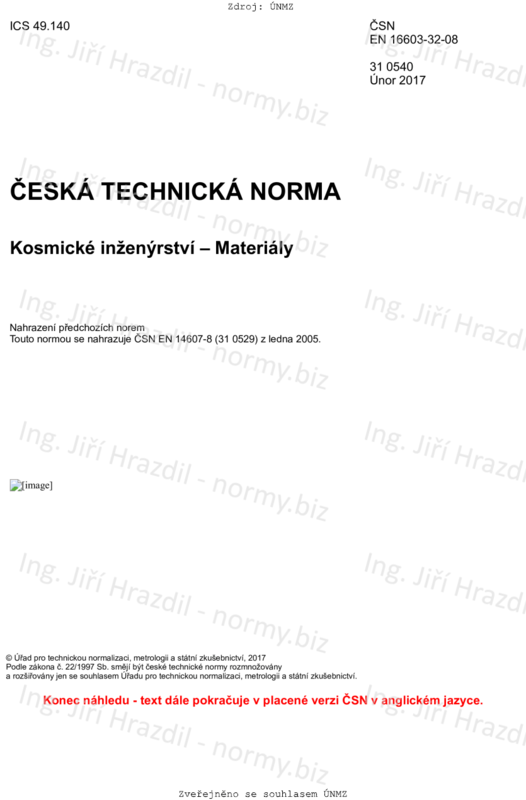 This standard specifies requirements for the establishment of the mechanical and physical properties of the materials to be used for space applications, and the verification of these requirements. Verification includes destructive and non-destructive test methods. Quality assurance requirements for materials (e.g. procurement and control) are covered by ECSS-Q-ST-70.